Having the right frame of mind to handle the stresses before and after a disaster is a key component to surviving the event. Maintaining the right frame of mind can keep you head in the game. In the book, Unbroken, author Laura Hillenbrand tells the story how willpower, tenacity and not giving up helped WWII soldier Louis Zamperini survive the most impossible of circumstances. Perhaps it was his own stubbornness that saw him through. For many, this can help them to survive a disaster. For others, they will need to use other methods. Refuse to give in to negative core beliefs (not smart enough, not good enough, unlovable, defective, powerless, not safe, etc). Fear can break a person’s resolve, causing indecision. In the popular series, Band of Brothers a young leader for the soldiers suddenly freezes up when he is confronted with enemy combatants. He cannot face the situation he is in and cannot make a rational decision, which leaves his young soldiers in a vulnerable and precarious position. Failing to anticipate the stresses that you may be under can cause panic, indecision, and possibly death. your site is good. It helps me to be more aware in the situation that i am loosing hope. Please continue giving this kind of information so everybody will know how to survive and live happy. Thanks 😀 more power guys. Thanks again for commenting Jerry. Stay safe! I use St. John’s Wort to help my outlook. It alleviate depression and it is not habit forming. When I need to, I use that coupled with full-spectrum lamp and meditation. Always seem to work. 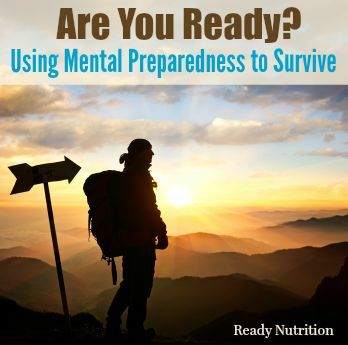 I have to give a talk on Prepper Mentality to a group of novice preppers and would like to use a lot of what you have said in this article. I don’t want to plagerize you. Would you allow me to use this information and credit you? Of course you can use it! Getting the information out is what’s important. I hope this class goes well. As a woman at 49 i seem to have a killer instinct in me and i tell my family that when SHTF there are no rules for saving your life. my hubby and 20 yr old son think i’ m crazy but i will fight to the end, period! I watch my neighbors houses, look who’s walking down the street and ally.i know where my dogs are at all times and i’ m tuned in to their responces to sound, smells and sight. i learned alot from the Armed Citizen mag from the NRA too. Am i too paranoid? @Floating Cloud – I love that you wrote “there are no rules for saving your life.” That really resonates with me. You may think you are paranoid, but I think you are practicing good operational security. In a disaster, everyone is going to be doing these things. They will want to know threats that exist in and around their parameter. And as we are witnessing in the aftermath of Hurricane Sandy, there any many looters and citizens who are breaking into home to access resources. 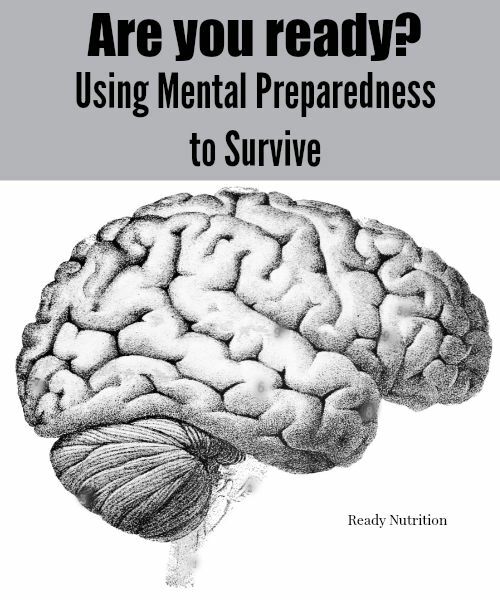 Looting and crime is always an issue following a disaster, so having a keen eye on what is going on around your home, which faces are familiar or unfamiliar in your neighborhood and practicing continuous mental preparation will keep you ahead of the game. I’ve recently suffered a great deal of stress from both my work and home life – double whammy! It’s easy to become insular, to lose sight of the bigger picture from being bogged down with the stresses of the immediate environment. It was hard to adjust my way of thinking in that the job is just a job, and the problems at home were easily with resolved with a bit of effort. I go through this a lot in my head everyday about different things that could happen. Mentally preparing for a day that you have to use lethal defense is something I don’t want to hesitate on if the day ever came and I needed too. My first deer hunting trip I got so excited I couldn’t even pull the trigger. That day taught me to really mentally prepare.